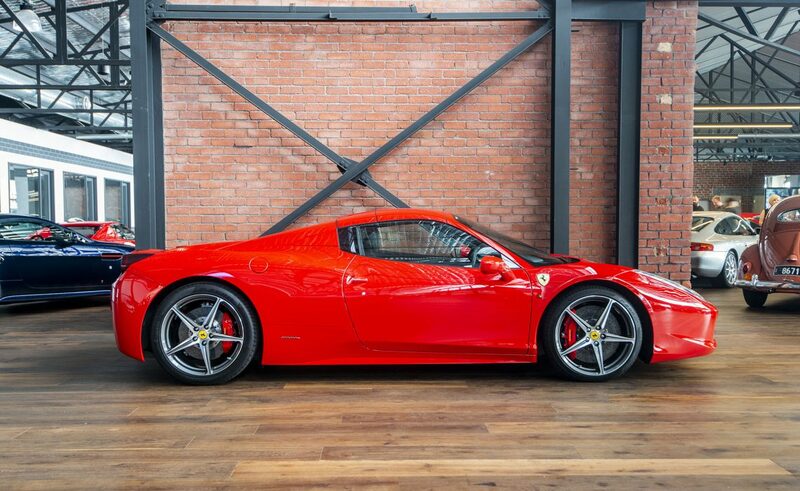 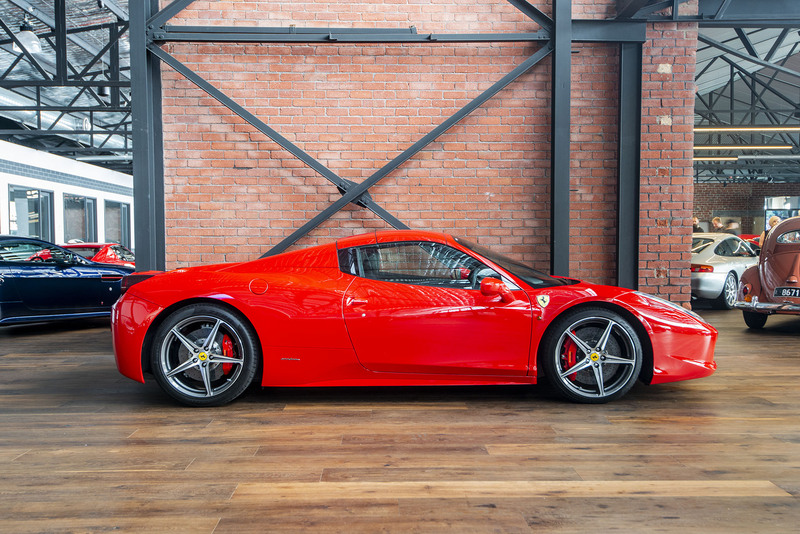 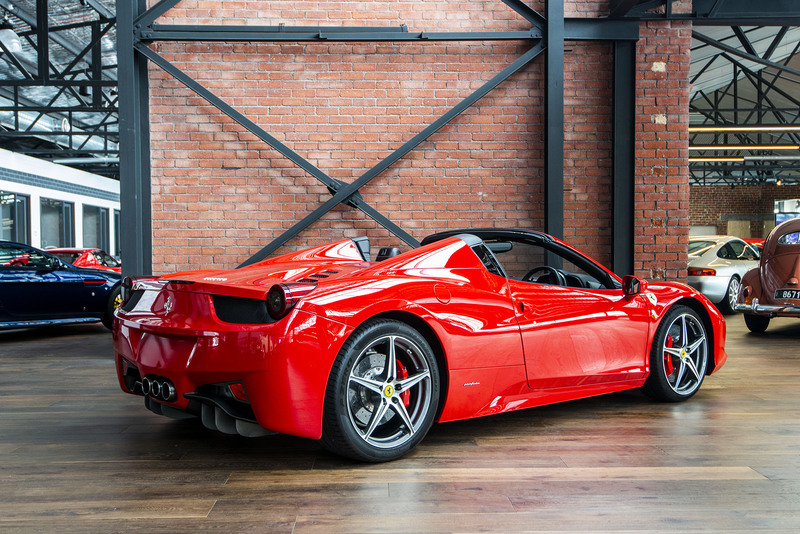 Presented in the stunning and highly collectible colour combination of Rosso Corsa over Black leather interior, this particular 458 Spider ticks all the boxes for the enthusiast, collector or driver wanting to thoroughly enjoy the amazing sound the 458 has to offer....with the top up or down! 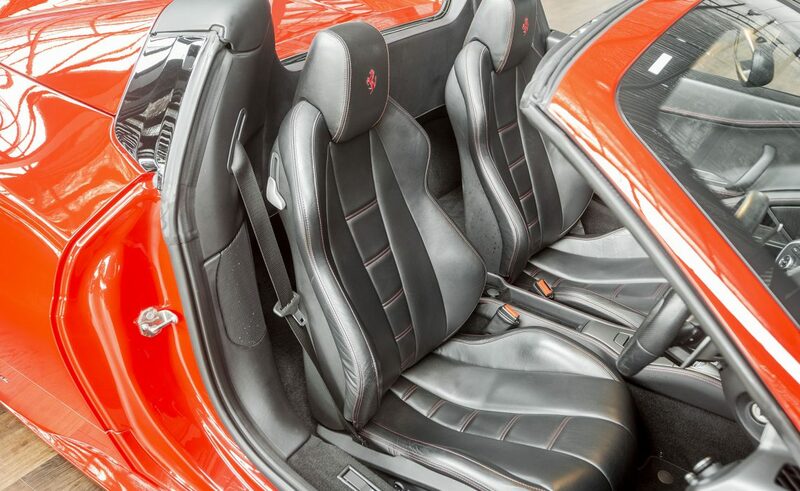 Delivered new on 8/2/13, it has been religiously serviced and maintained with all associated service books and ownership manuals in their leather pouch and 2 sets of keys. 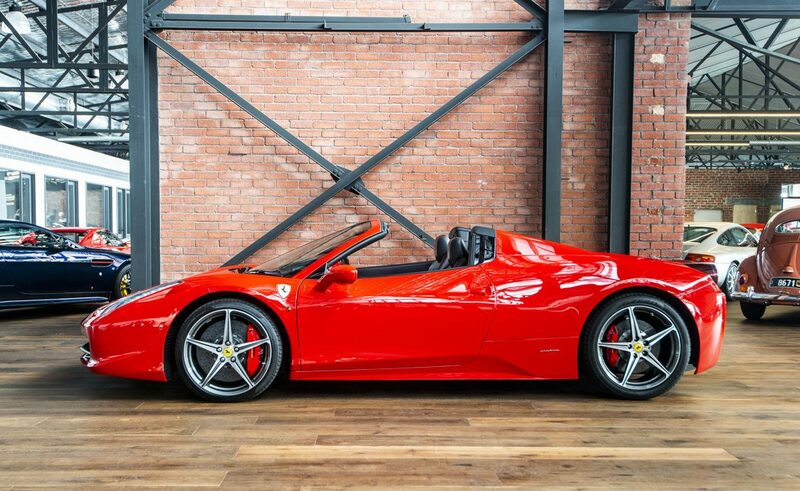 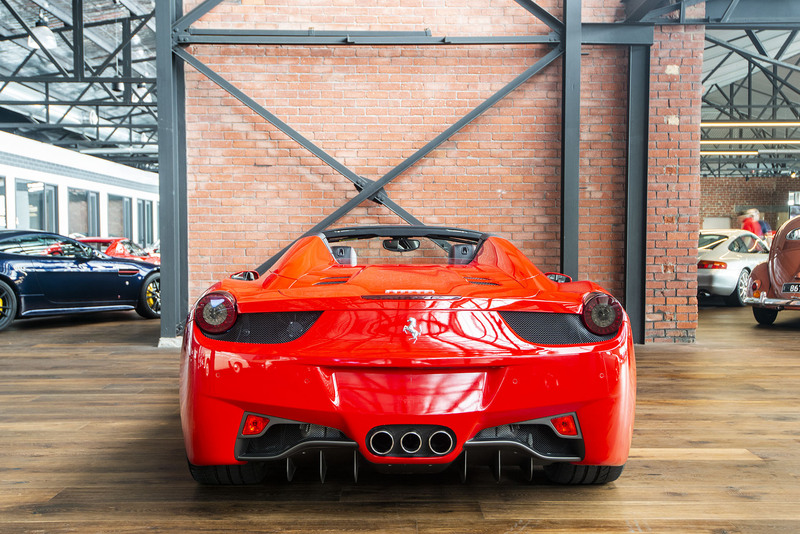 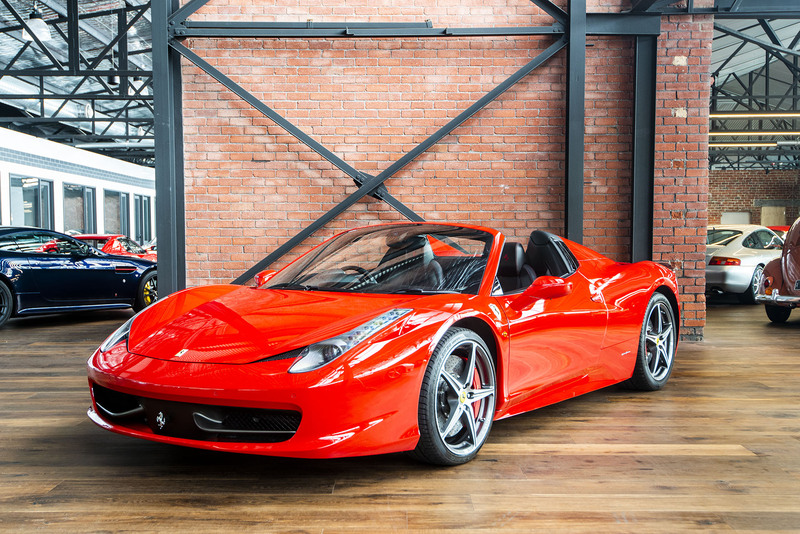 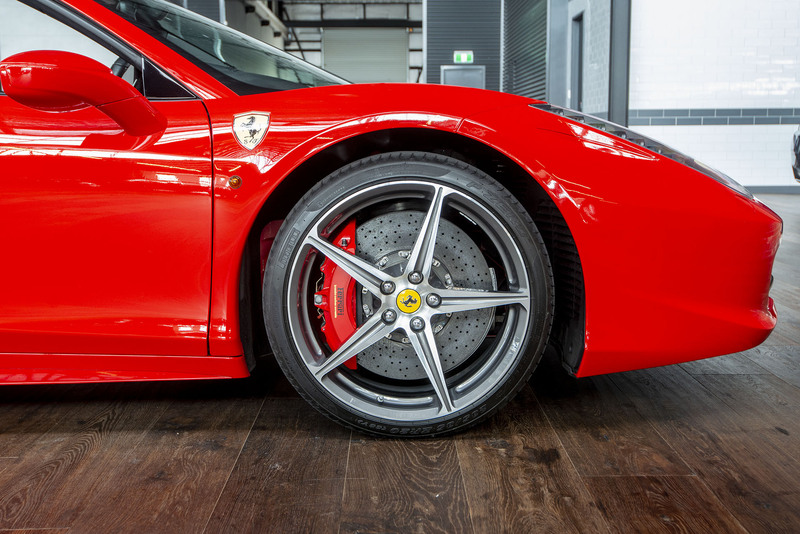 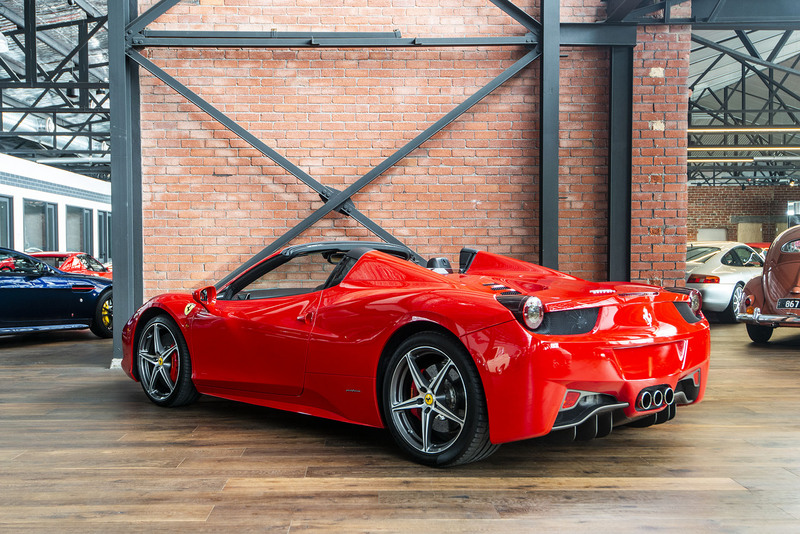 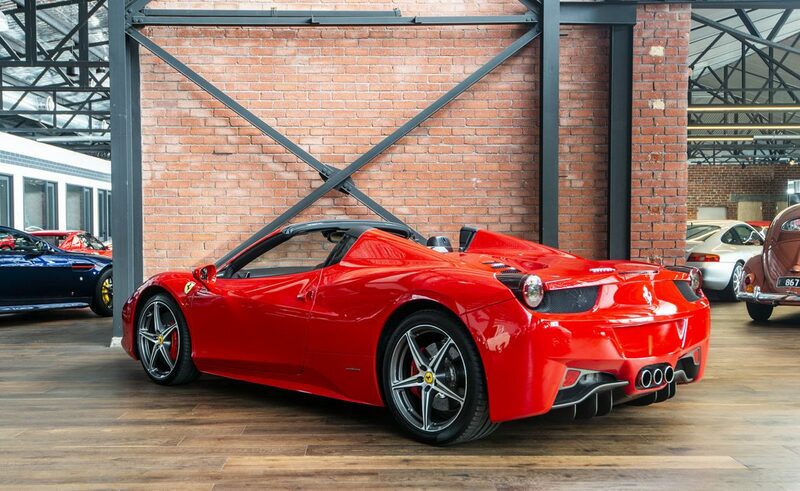 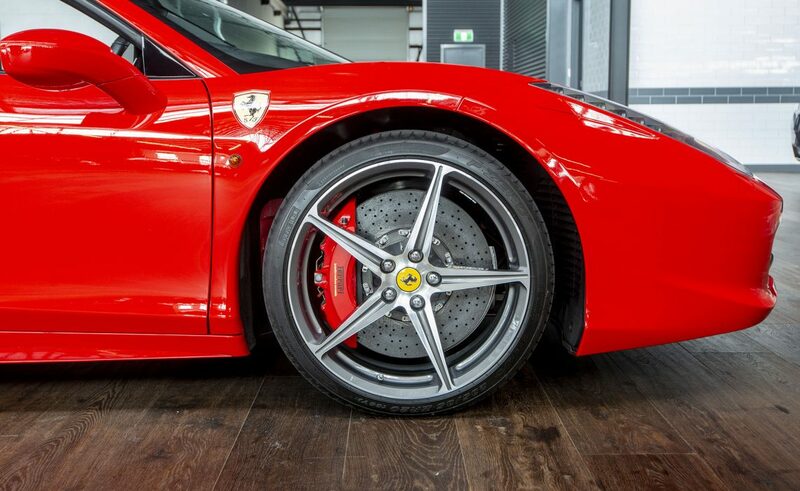 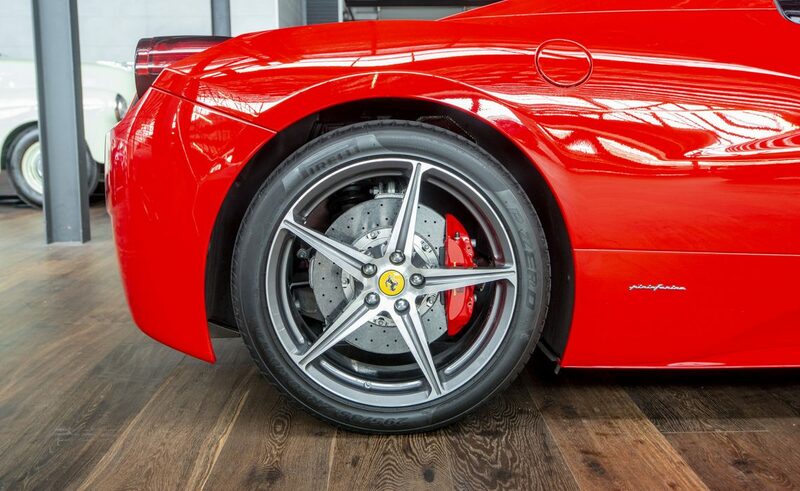 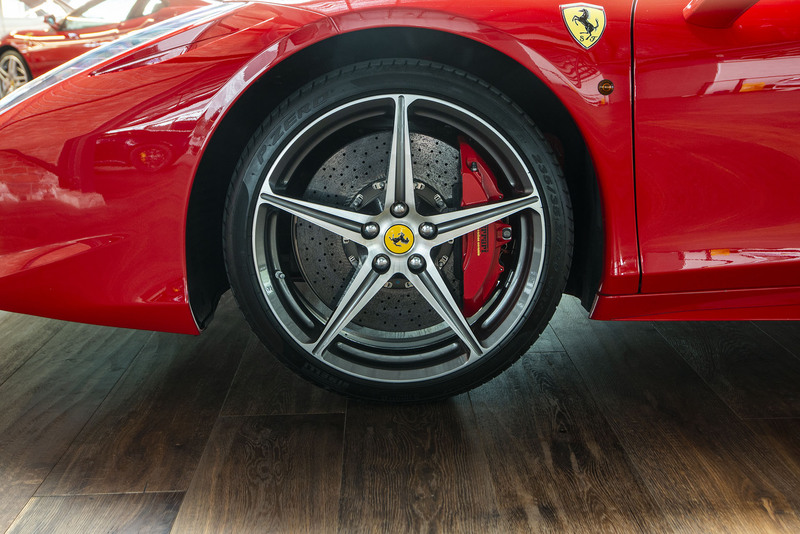 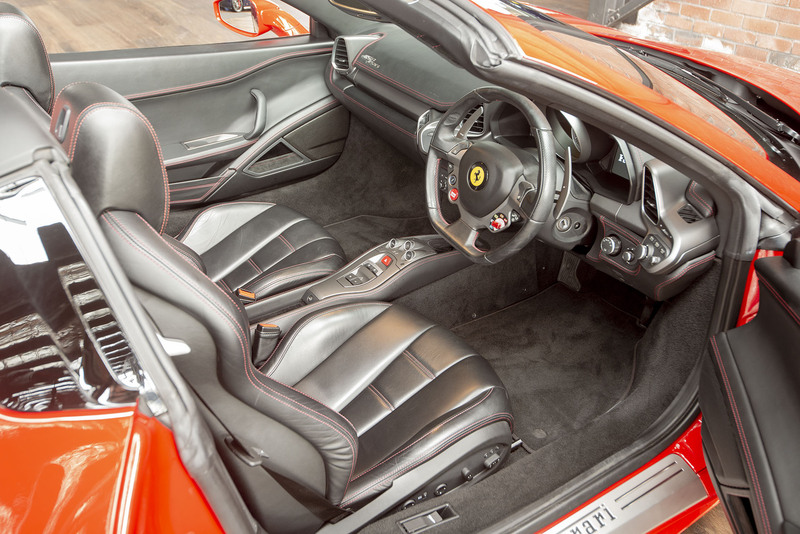 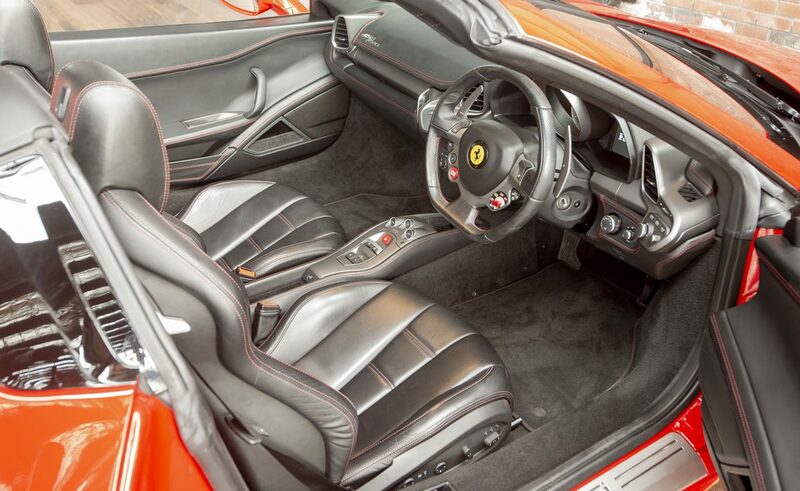 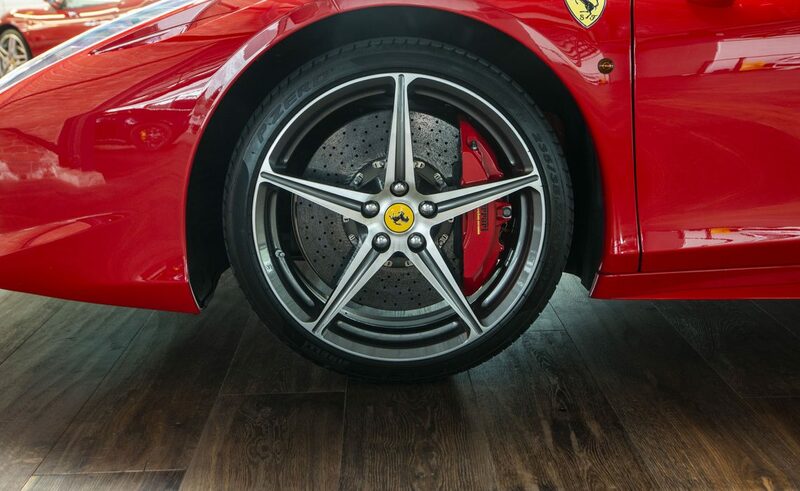 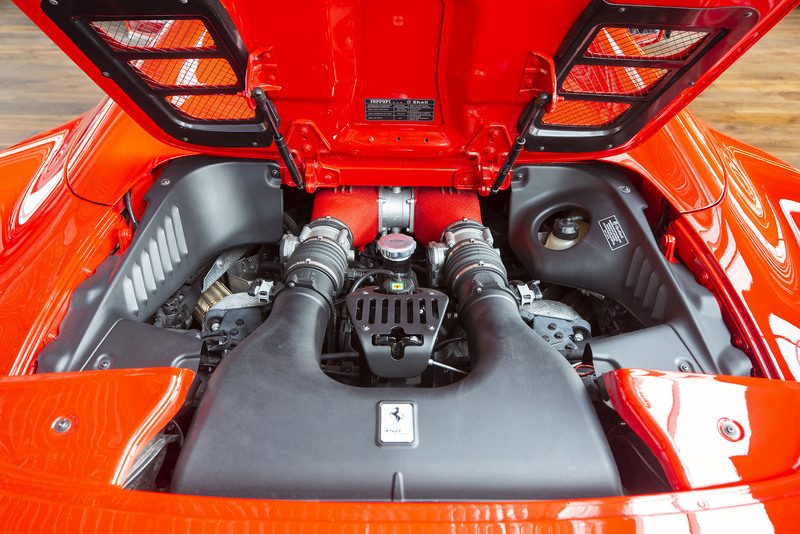 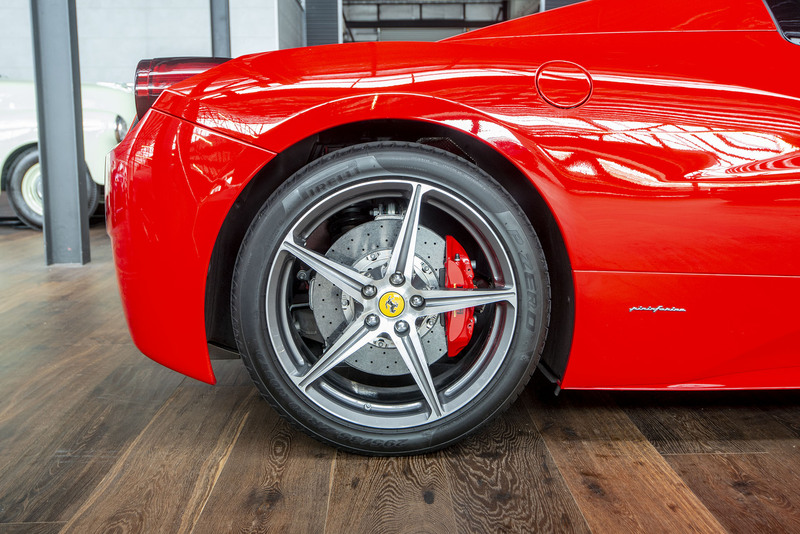 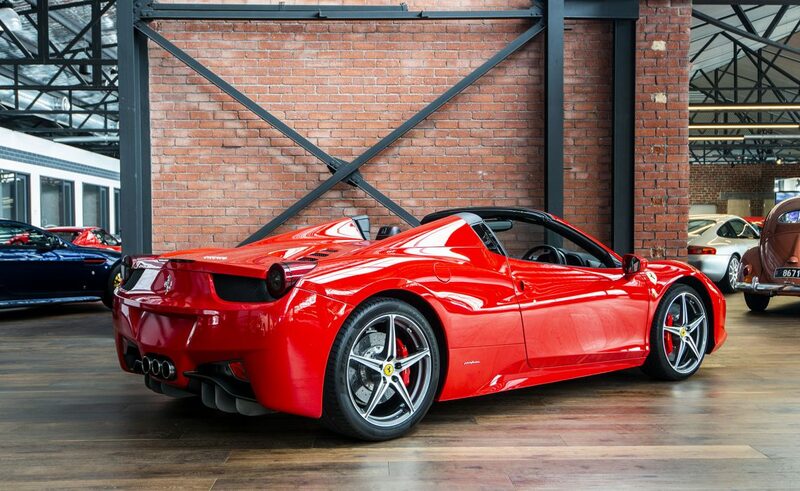 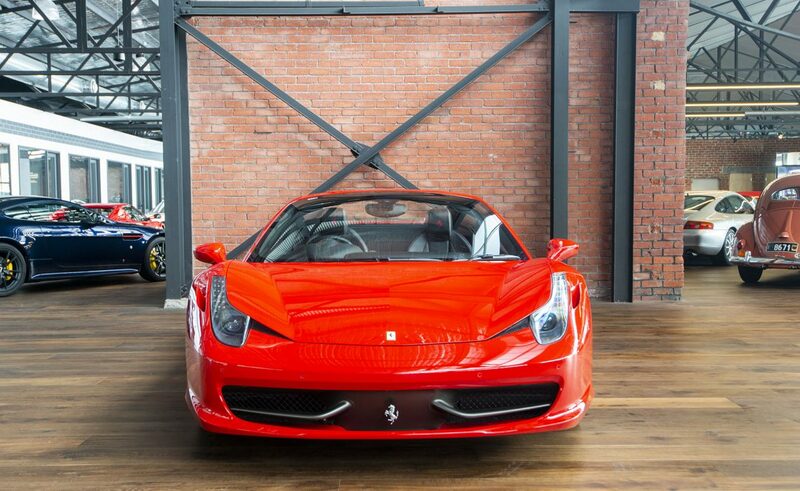 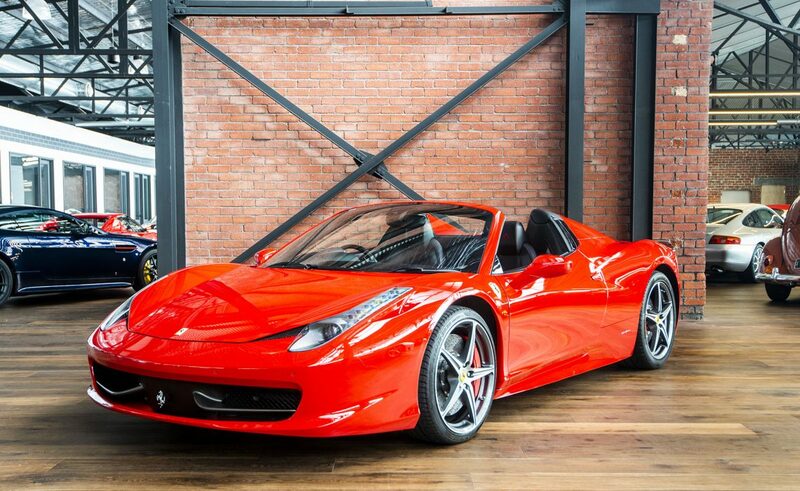 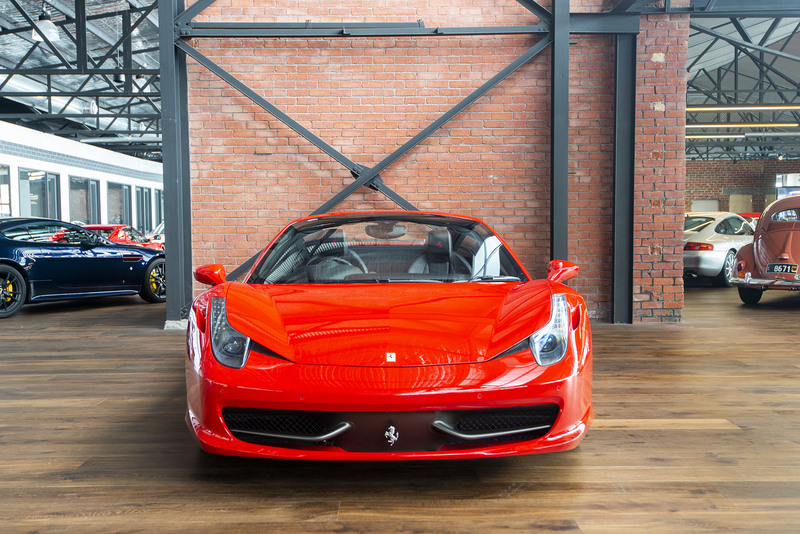 The naturally aspirated mid-engine Ferrari 458 Spider is extremely special from any angle. 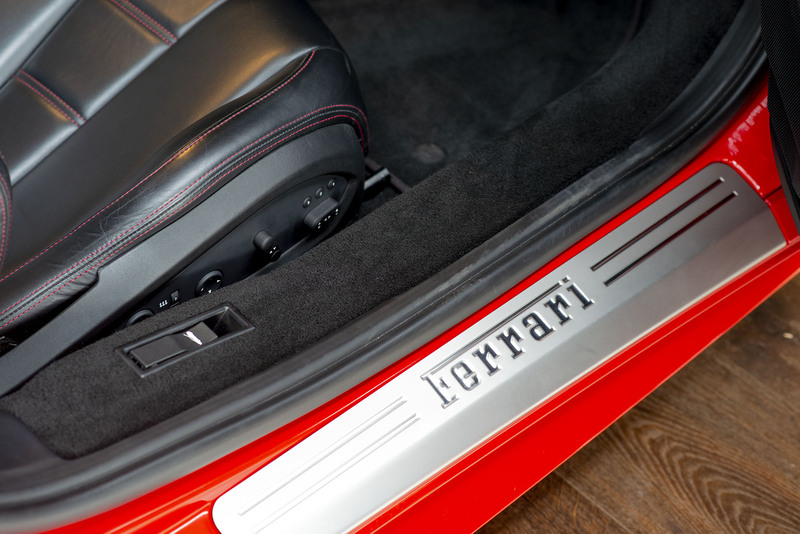 It features a power-retractable hardtop that opens and closes in just 14 seconds, according to Ferrari. 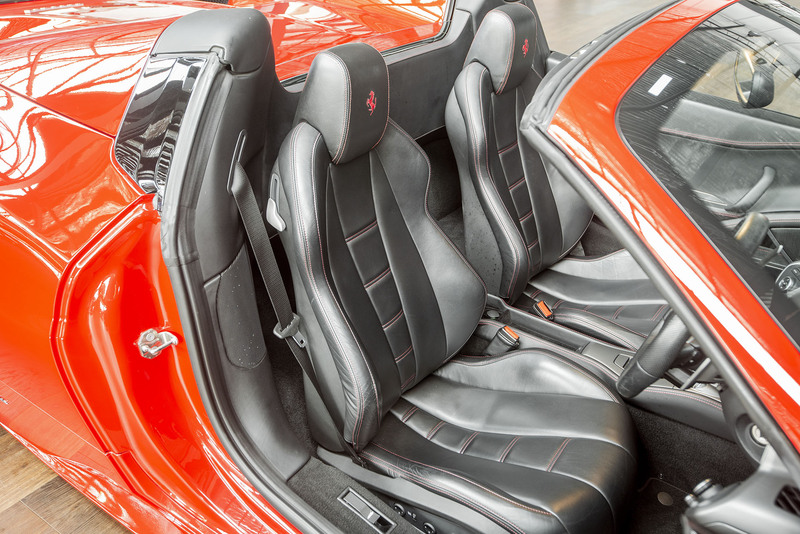 A glass wind deflector automatically raises and lowers between the head restraints for maximum comfort during open-top driving. 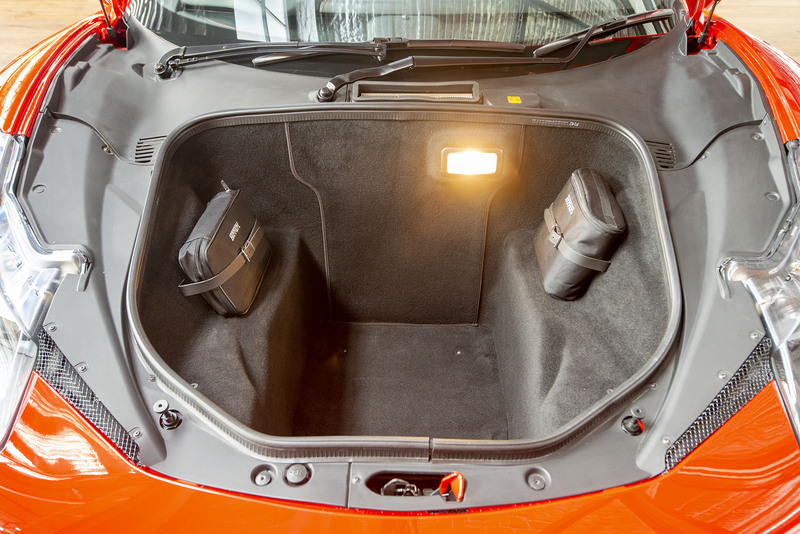 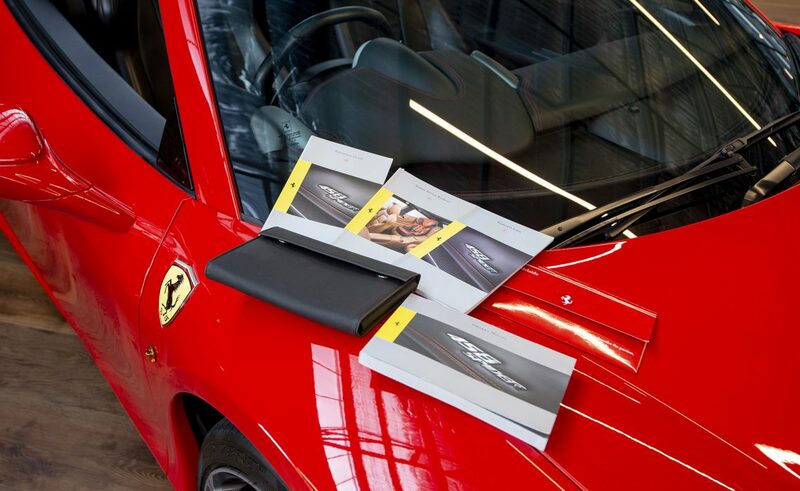 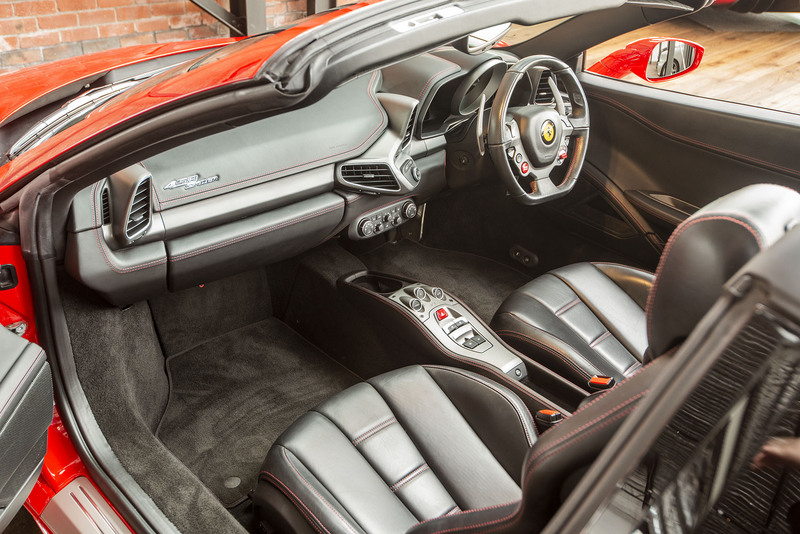 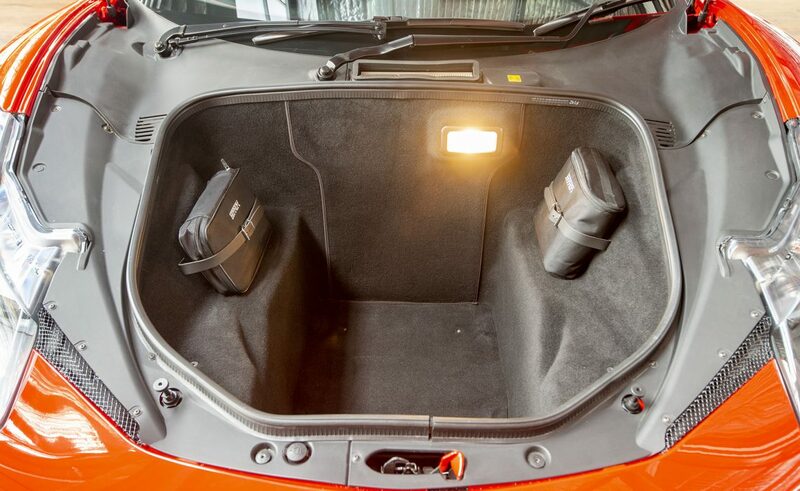 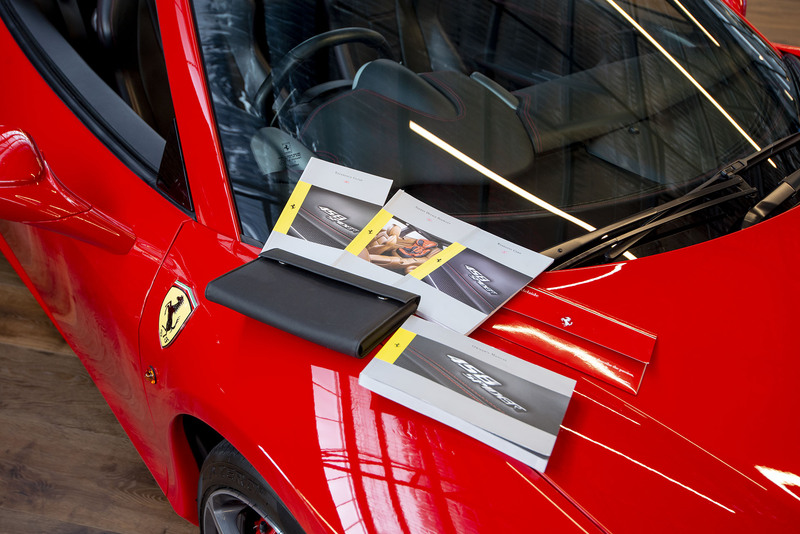 An issue with most convertibles is available cargo space when the top is down, but in the 458 Spider, there's additional space behind the seats for more luggage. 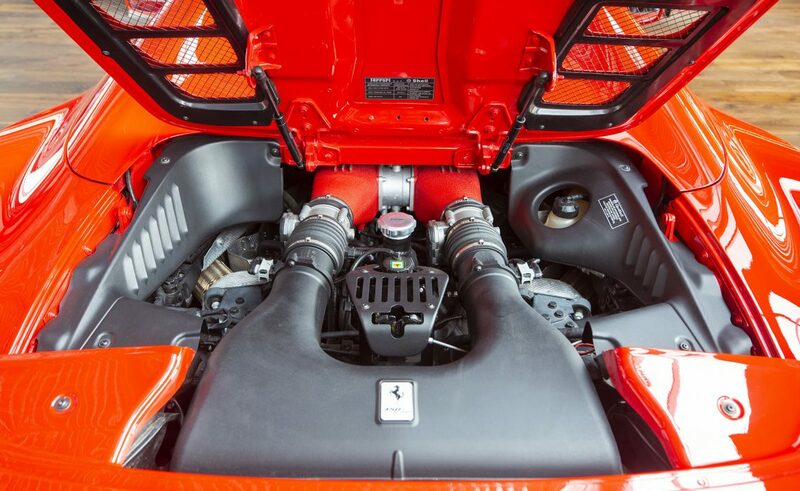 The car's 4.5-liter V8 engine is good for 419kW or 562hp @ 9,000rpm with a 0-100kph sprint of just 3.4 seconds. 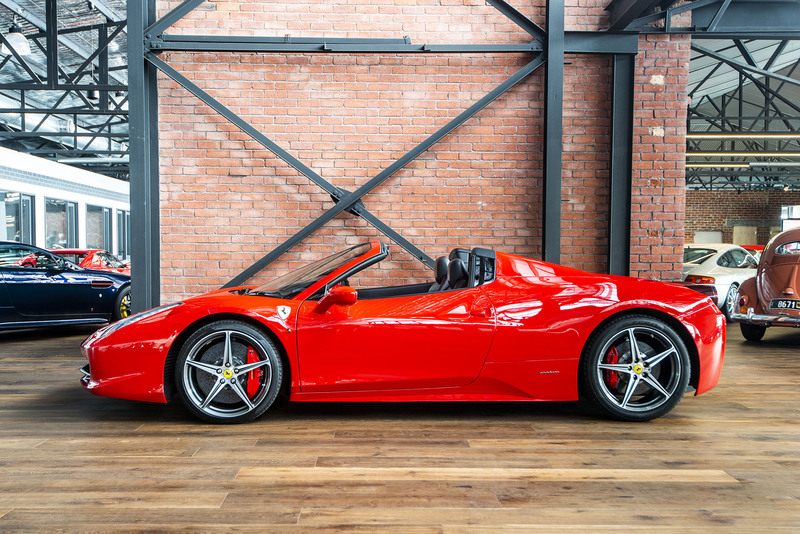 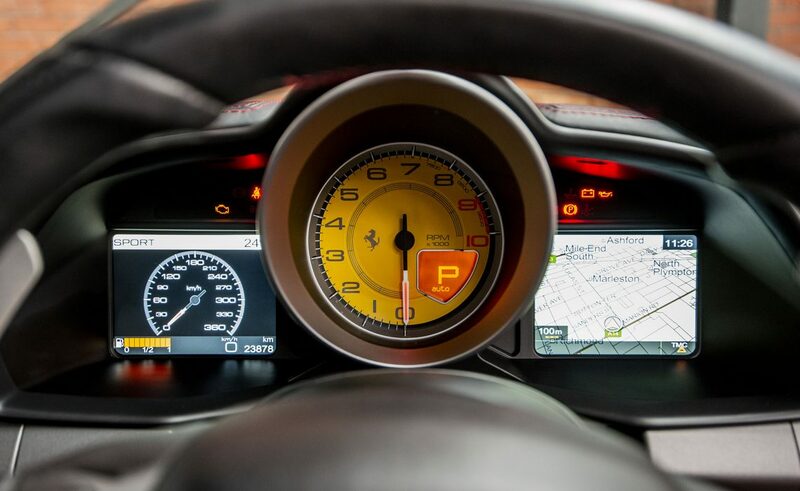 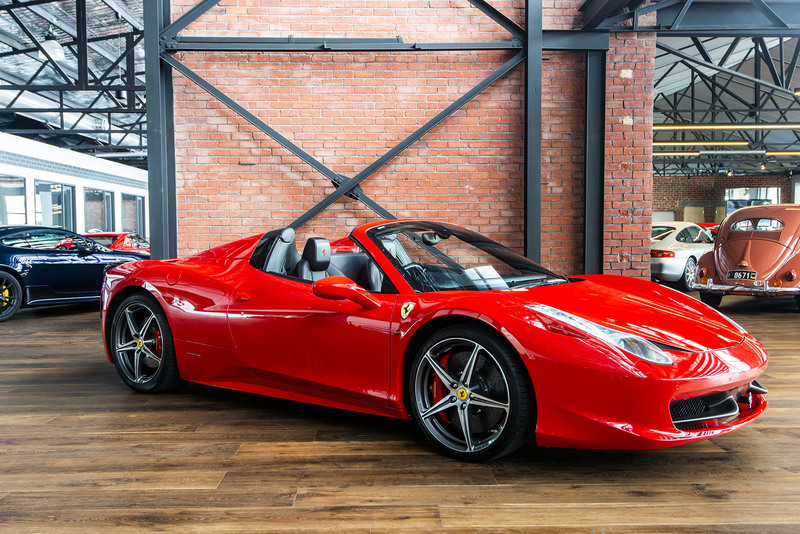 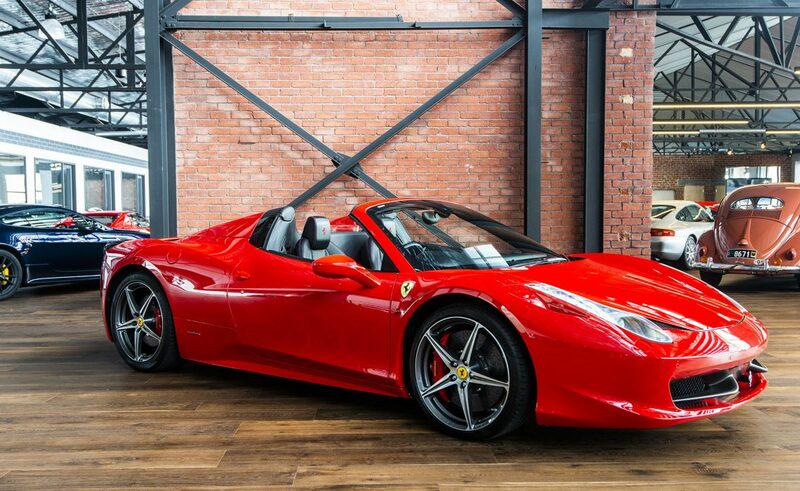 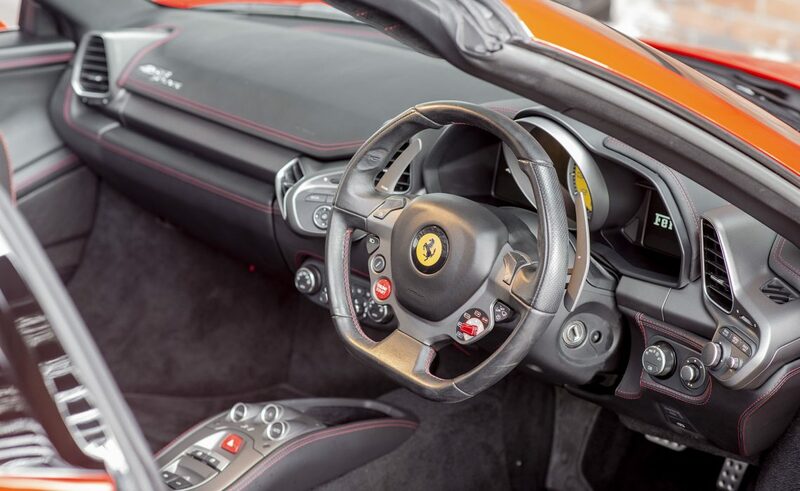 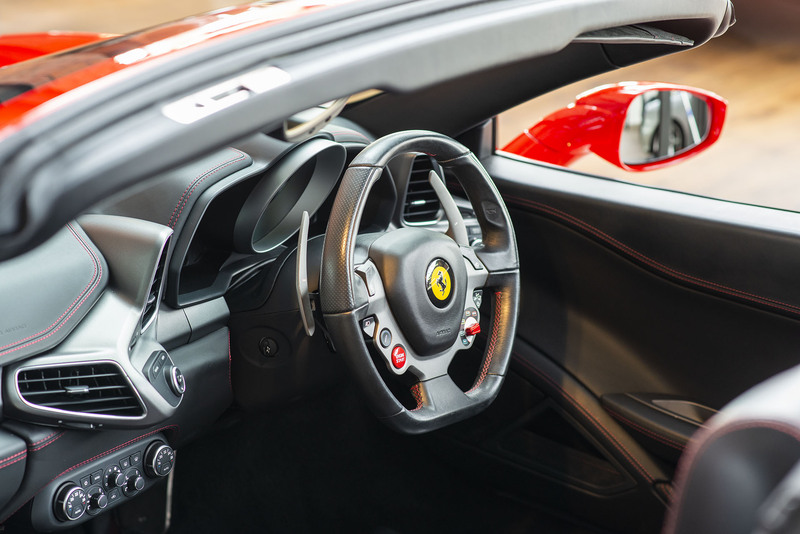 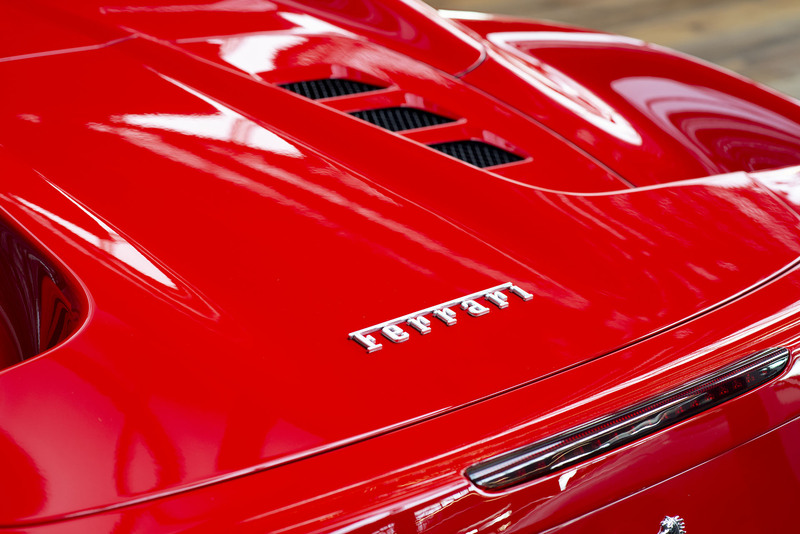 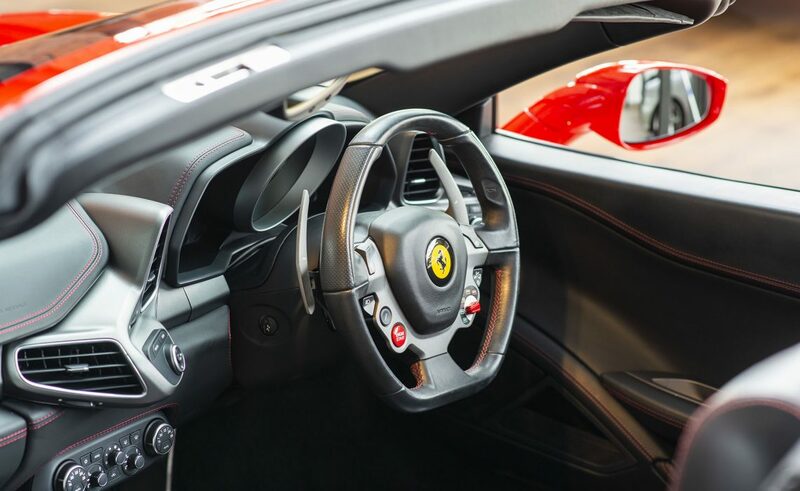 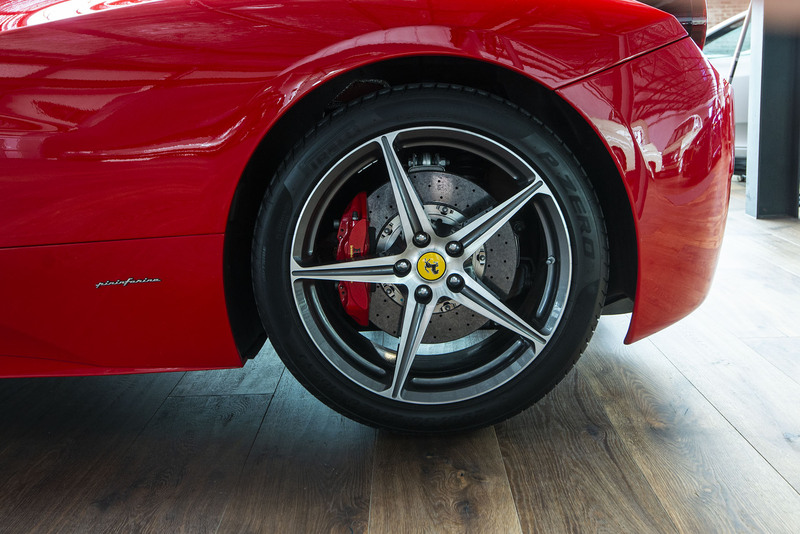 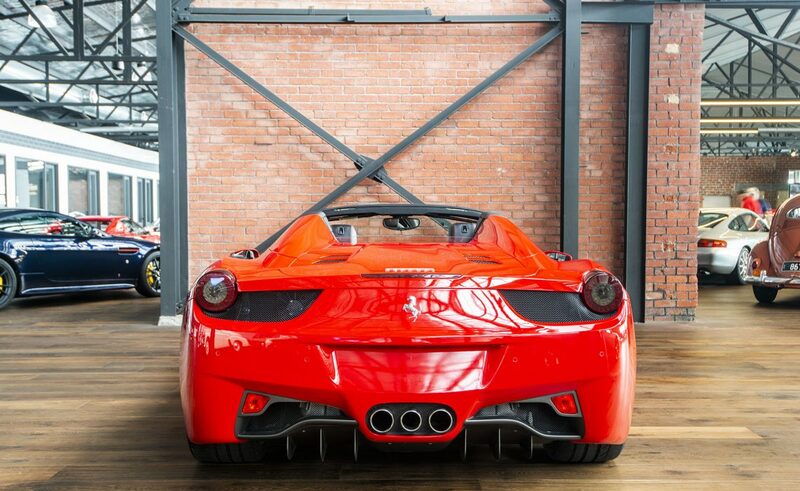 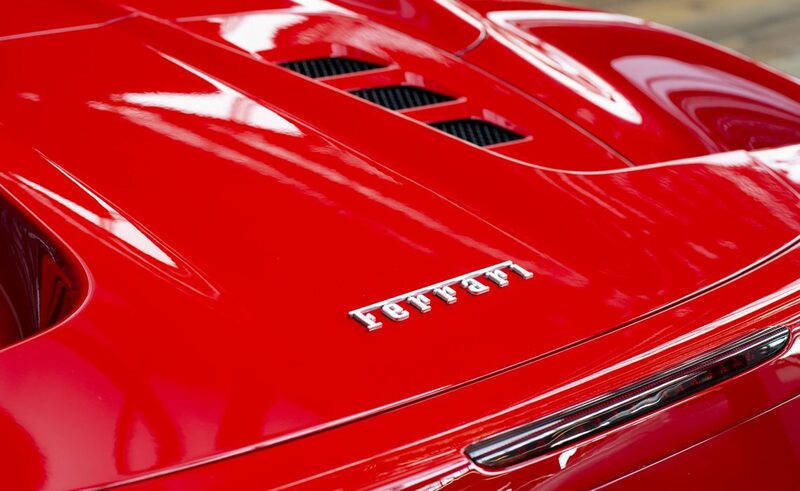 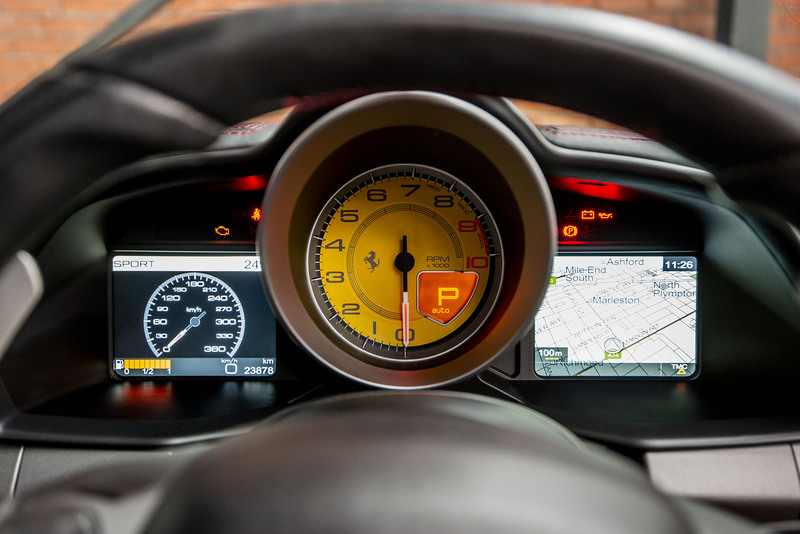 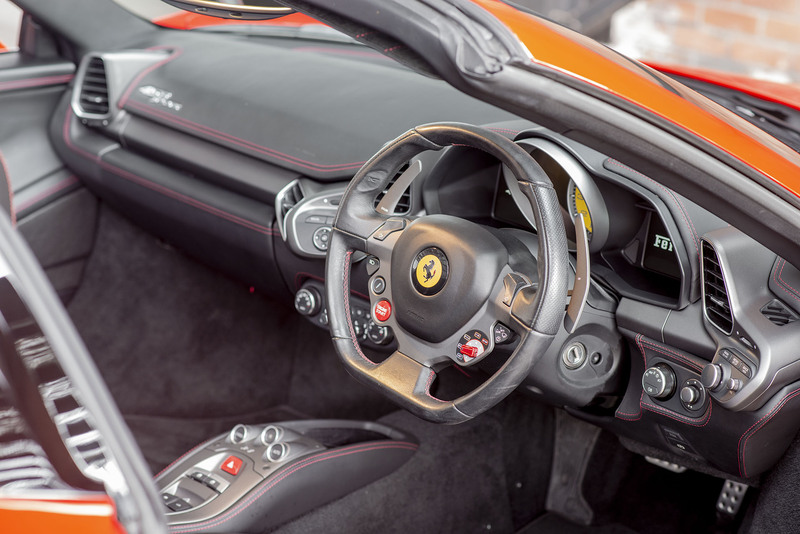 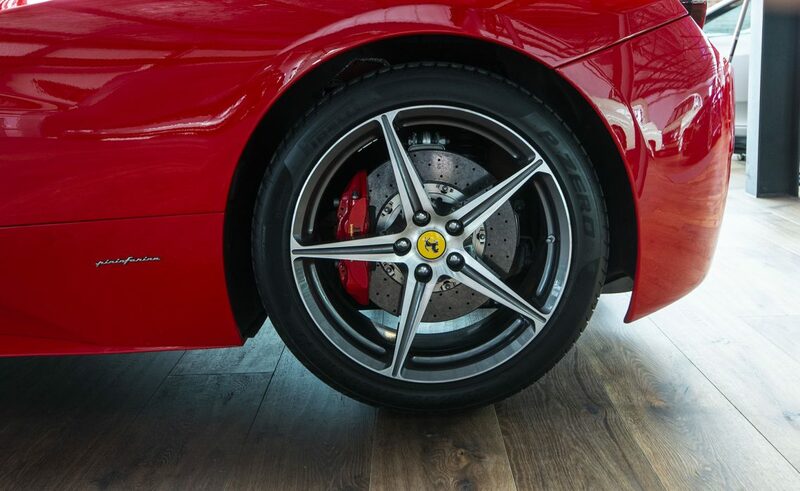 The Ferrari Spider claims a top speed of around 320kph. 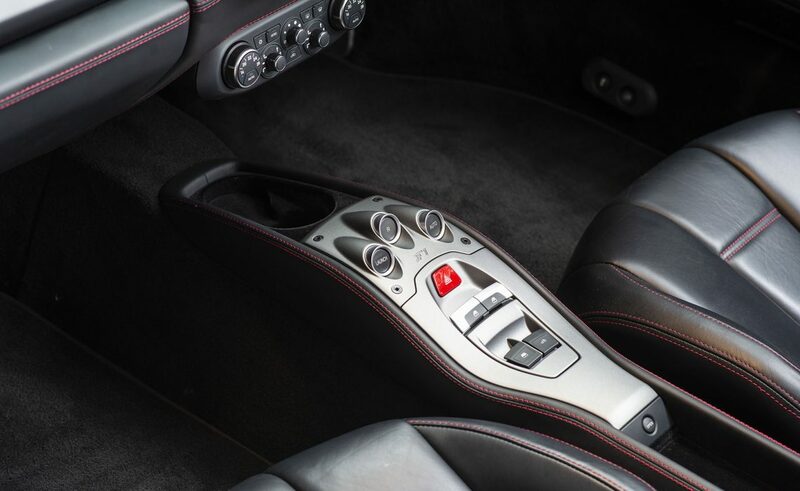 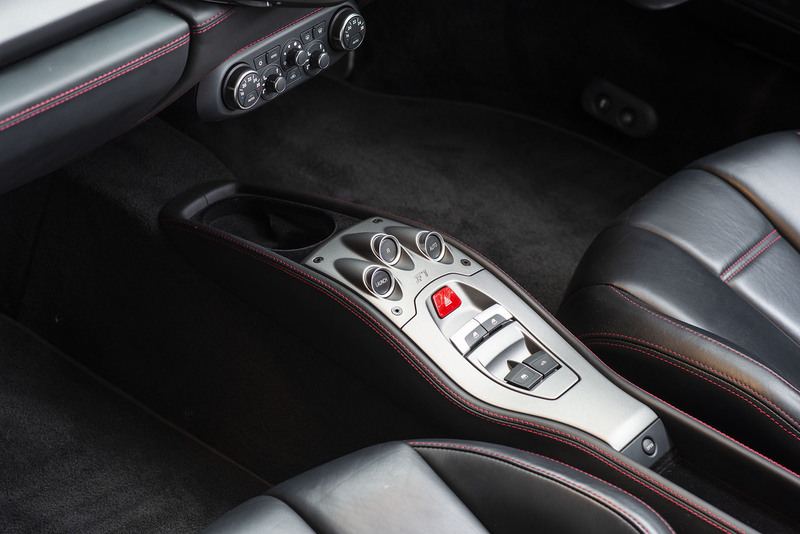 A seamless seven-speed dual-clutch transmission is controlled by paddle shifters on the racing-inspired steering wheel, and dual electronic gauges frame a center tachometer. 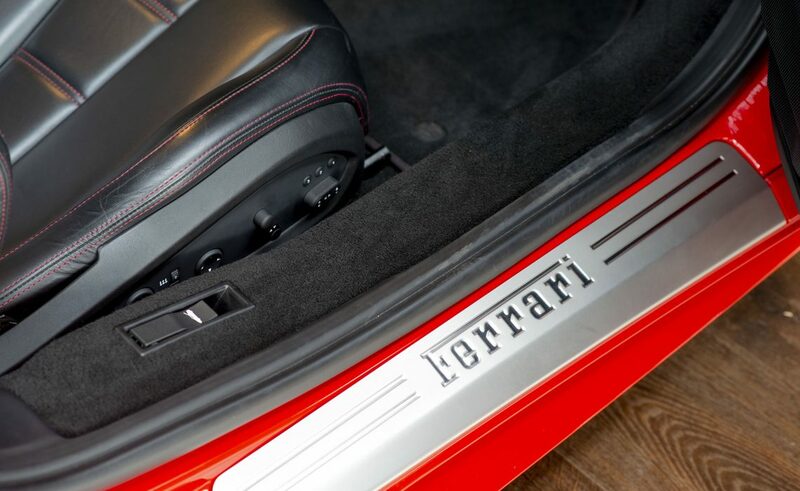 Because the engine sits behind the seats, the coupe's weight is balanced 42/58, front to rear, which makes for some extremely enjoyable driving.